"I actually think that the pathway is why Thunder has been so consistently successful at senior level." Manchester Thunder duo Ellie Cardwell and Laura Malcolm speak to Sky Sports about the development of the Performance Pathway programme, the squad's strength and returning to Thunder. The leaders behind every successful sports team will always tell you about the importance of having a thriving academy system and how it's vital to have a clear and successful pathway upwards to senior level. Winning now and planning for the future is the constant balancing act coaches must get right. But, it's only possible to do if you have the talent coming up through your ranks. Manchester Thunder's Performance Pathway programme aims to 'find, inspire and develop the next generation of leading netballers for Thunder, the North West and England' and the route along it is one that both Cardwell and Malcolm took. 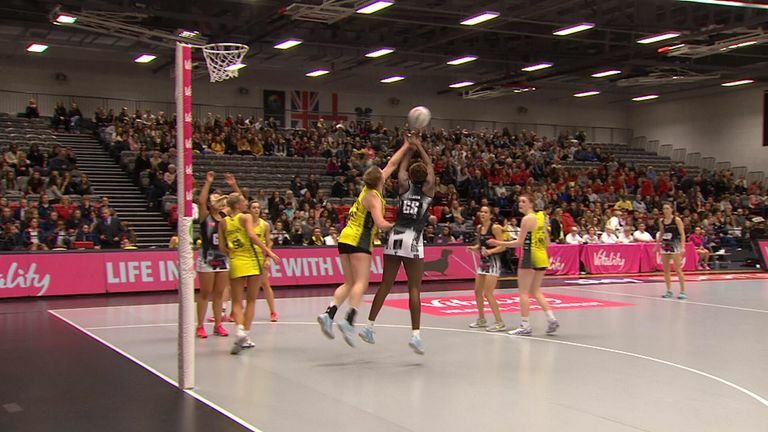 The duo, who are back at Thunder after two years with Severn Stars, pinpoint the franchise's programme as one of the reasons for its ability to keep pushing on at the highest level in the Vitality Netball Superleague. "I actually think that the pathway is why Thunder has been so consistently successful at senior level," said Malcolm to Sky Sports. "It's that connection between the pathway and the franchise. When Tracey (Neville) came into Thunder she made sure that all of the pathway girls were always at Thunder games. "It was a massive, whole franchise culture that was created then really." Cardwell also hails Thunder's structure as a key contributor to their current performance levels and unbeaten start to the season. "The majority of players have come through that pathway have all been with Thunder since they were young, probably since it started," shooter Cardwell said. "I think that the culture is just a great culture to be a part of. Everyone has known each other for years and on court, I think that it just shows that you know exactly where someone wants to go." As two key NSL players, the duo are well-placed to reflect on how the performance pathway is, and how that differs from their time. "For me looking at them [performance players], we're trying to give them the same level of support that we would get from England," said Malcolm, who is Thunder's Pathway head coach. 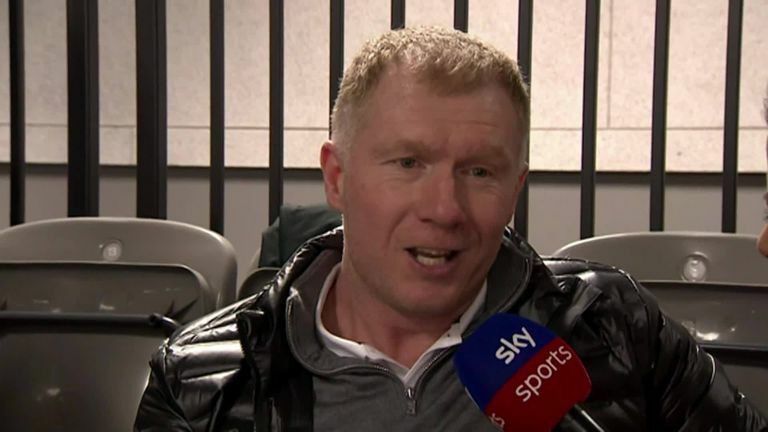 "That's what we're trying to create around them and to have that at that age, if every franchise works to a set of things that they have to do and it's replicated around the country, what will England [the squad] look like in the future?" Cardwell's reflections on the changes include the strength and conditioning elements; now Thunder have an S&C lead, Nick Fowler, who works across all age groups from U15s to U21s. She said: "It's just great to see the development from what it was back when I was young to what it is now. They're all doing weights [S&C], they're doing everything. "Obviously I did a bit of weights but if I was able to do that when I was young where would I be now? "They have the opportunity to do netball as a job which is a great aspiration to have. We never had that it was just always a hobby." All of the players that are within Thunder's Performance Pathway squads will share a same goal - to become part of the franchise's Superleague squad and it's a squad that are looking focused and sharp. Both Cardwell and Malcolm do not need reminding Thunder have not won the competition since 2014 but both feel the squad is in a good place. "I think this year we really have got a strong squad, very competitive to get out on court," said Malcolm. "You can feel that in training. I think that Karen (Greig) actually joked with me the other day about us literally fighting in training…!" "I know that I definitely have battles with Kerry [Almond GK] in training," added shooter Cardwell. "She says, 'will you stop giving me the elbow?' and I'm like…. 'it's alright, you'll give it back, it's fine,'." The pair matched each other's Superleague movements, leaving Thunder to join Stars before returning for this season, and Cardwell feels like she has returned in a different space. "This season, compared to my last season when I was at Thunder is completely different," said the 6ft 2in shooter, who had a strong performance off the bench against Pulse in Round 4. "For me personally, from when I was at Thunder last, it was probably my first real season at GS. That was a very different mindset from where I am now. "Obviously I'm wanting to get on court, to try and do the best I can whereas last time I was here I was just trying to develop and figure out the style of player I was." For Malcolm there's a noticeable difference too and one that's on a more personal level. "For me, the last year that I had at Thunder before we moved to Stars I wasn't probably loving my netball as much as I should have been, which I knew at that point," the 27-year-old said. "I think coming back to Thunder I feel very much reinvigorated and really loving playing and training with my friends. Just loving life in general I'd say." Manchester Thunder's next Superleague stop is a meeting with the duo's former side while for the players in the franchise's player pathway, their quests to follow in the footsteps of Cardwell and Malcolm will continue in earnest over the course of the season and beyond.